News travels fast in the tiny town of Harmony--Population 18. Keep up with the latest happenings here! Incorporating wine into a healthy, active lifestyle—balance is key! Kim Mulligan, co-owner of Harmony Cellars, is a wine enthusiast AND fitness devotee. Read the fun Q & A below and learn how Kim balances her love of wine with her daily exercise routine. 570 festival attendees "took over the town" on Saturday, August 4th! I’m the Mom of a VERY high energy boy. Our son keeps us (happily) on our toes all the time. I’m also a Mom who likes wine and who occasionally (usually while on vacation) enjoys visiting new tasting rooms and trying new wines with my husband and son. Here are some fun ideas for cork crafting! Step by step instructions and photos, too. *And the best corks for crafting are Harmony Cellars wine corks, of course! It’s the time of year when I get nothing done on Sundays. Why? Because it’s time for NFL and Fantasy Football! With that said, I don’t want to spend much time preparing complicated football snacks. The easy way to go would be to order a pizza, but I am fortunate enough to have a few easy recipes that will get me through the games. Summertime is here! Time to kick back and enjoy the weather. 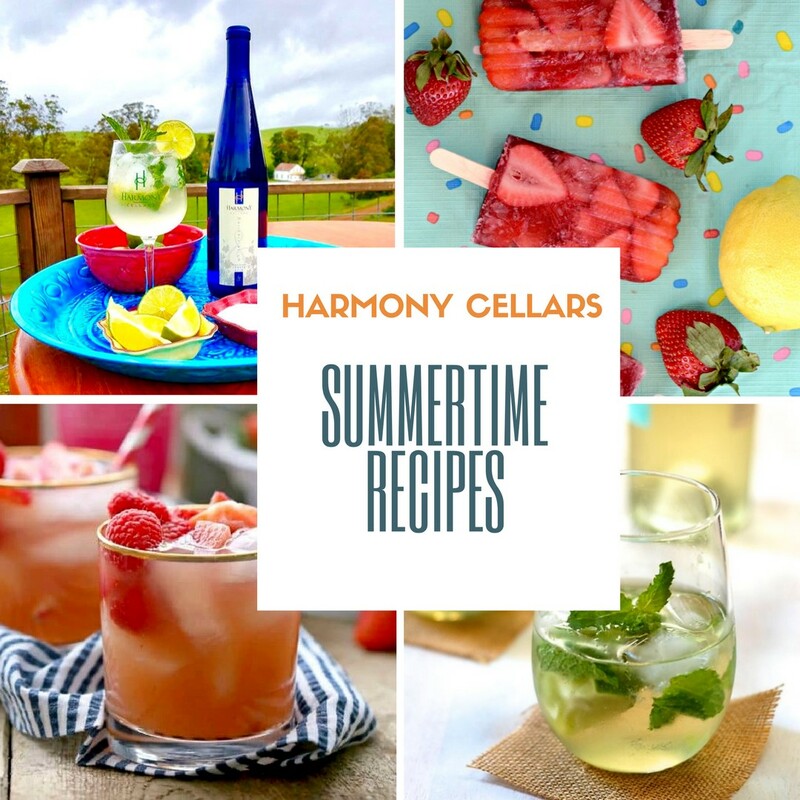 We have some fun and creative recipes using our favorite Harmony Cellars wines!